Toorak College will be chartering a new bus route for Frankston and surrounding suburbs, offering more students a safe and comfortable journey to and from school. From early 2019, the new Toorak College bus route will operate daily throughout the suburbs of Tyabb, Pearcedale, Langwarrin South, Langwarrin, Skye, Carrum Downs, Sandhurst, Patterson Lakes, Carrum, Seaford and Frankston. With an increase in the number of students enrolled at Toorak College from these suburbs and with areas along the Frankston line undergoing rail crossing removals and station upgrades, Toorak College’s bus route has come at an opportune moment for families looking for convenient and alternative transport methods. 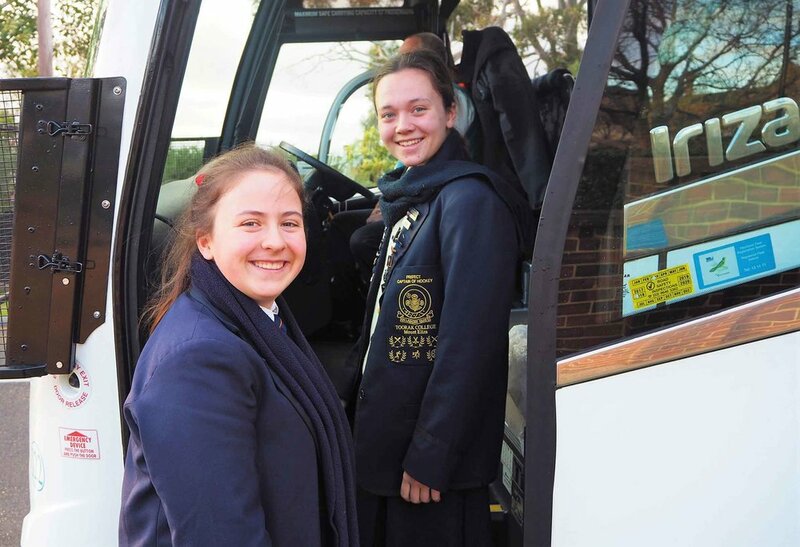 Three other Toorak College charter buses are already in operation circling the Sorrento to Rosebud area, Balnarring and Shoreham coastline, and suburbs between Flinders and Mount Martha, including Red Hill. A new charter bus route is not the only news announced by Toorak College recently, with scholarship applications for students looking to attend Toorak College from Year 4 to Year 9 in 2020 now open. These include academic, general excellence and music scholarships, supporting Toorak College’s philosophy to encourage all students to aim high and follow their dreams. Toorak College embraces the all-girl advantage in education and graduates stand out as spirited, well-rounded and resilient women. Research supports that girls are far more attentive to class discussions in an all-girl environment, are more willing to step outside their comfort zone and try new activities, are more likely to build confidence and leadership skills, and able to get higher grades within an all-girls environment. If you would like to discover more about Toorak College, please book a tour at toorakcollege.vic.edu.au or attend an Open Day on Wednesday, October 10 or Saturday, October 27.